Have been sent some amazing reports of healing sensations being received from the free distance magnet healing sent yesterday. This is something that I do once a month and is free to all. 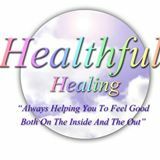 Email me at healthful.healing@yahoo.co.uk if you fancy joining in with next months or would like further information.